DENMARK – It has come to an end and yet one senses it might just be the beginning. The Denmark Vikings fell to Chilton, 18-14, in the first round of the Division 4 playoffs on Friday night in Chilton, bringing to a conclusion a 5-5 season in Tom Neuman’s inaugural head coaching campaign. 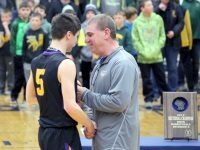 The Vikings may have overachieved in the minds of fans around the area, but Neuman was anything but shocked by what his team accomplished. It was in many regards the same team as last year’s that went 2-7 and was rarely competitive in North Eastern Conference action. And, despite the disappointment of the mistake-filled season-ending loss, there is reason to hope that the 2018 Vikings may have just laid the foundation for future success. “It hurts,” Neuman said. “It hurts. I told them it was going to sting but look at where we are. We’re playing in the tenth week. We’ve taken this program from being pretty down to where it is now on the upswing. We just have to keep moving forward. Denmark entered the season with the goal every team has: to make the playoffs. 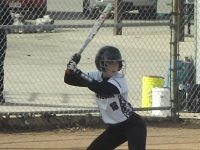 But with a new coach, a new program and a three-year postseason drought, this goal carried a little more weight. Once it was accomplished with an Oct. 12 win at Freedom, though, there was no sense of settling and every reason to believe they could do more than just qualify. And, indeed, the Vikings absorbed every blow from a bruising Tiger front line that went 290, 250 and 245, as well as from a 210-pound fullback and a 215-pound quarterback, and still had every chance to win. 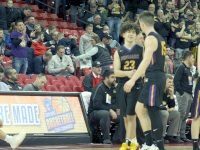 Instead, three turnovers in the final period and one critical penalty in the final minutes sealed their fate and made the heartache of a special season come to an end even more cutting. 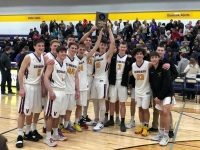 Chilton head coach Mike Arendt, who played for Neuman when he coached at UW-Oshkosh, had nothing but praise for the Vikings. 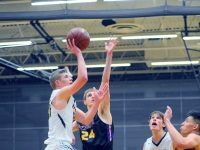 “That team is tough,” said Arendt, whose Tigers (7-3) snapped a streak of 11 seasons without a playoff victory and will take on top seed Little Chute on Friday. “We knew that coming in. They’ve got some tough-nosed kids. Your heart goes out to those seniors walking through the line. You know they’re never going to suit up in a high school uniform again. The last of Denmark’s three turnovers came on Jack Satori’s desperation 26-yard heave into the end zone on the game’s final play seconds after he had found Casey Kropp for a 42-yard gain that gave the Vikings their last decent chance. Turnovers bookended the Denmark fourth quarter. 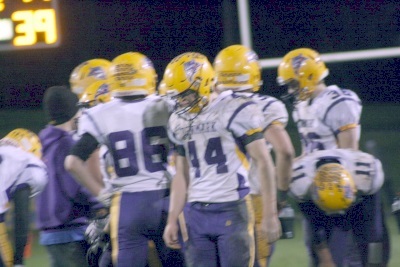 It began with a halfback pass that was picked off at the Denmark 28, setting up Chilton’s decisive go-ahead score seven plays later that put the Tigers up, 18-14 three minutes into the final period. Midway through the final period, Chilton provided a gift in return, muffing a Denmark punt that Bradyn Polomis pounced on at the Tiger 26. But five plays later, just 10 yards from pay dirt and the lead, a mishandled handoff exchange gave the ball back to Chilton. The Denmark defense, playing without injured leading tackler T.J. Weidman, got the third-down stop it needed and forced a punt. But the Vikings jumped offsides, giving the Tigers three more downs. By the time Denmark got the ball back at its own 31, only 48 seconds were left, and all its timeouts were gone. Kropp was able to leap in the air and pluck the ball from above his defender at the Chilton 26, giving the Vikings two last shots at the end zone. The Tigers used a rotation of backs – led by the 6-3, 210-pound Auggy Diaz and 6-2, 215-pound quarterback Jack Critter – to roll up, unofficially, 250 yards rushing on 50 carries, making effective use of their triple-option Veer attack. They added another 56 through the air. “When you go against an option team, you have to really be disciplined and focused,” Neuman said. “I think with the pressure of not having T.J. out there, some guys thought they had to do a little more. And that wasn’t the case. When we played our defense, they got very few yards. When we tried to play outside of ourselves, that’s when they got the yards on us. Neuman had plenty of praise for Mason Karl, who stepped in for Weidman and played almost every down in the game on both sides of the ball. Denmark’s five losses this season were by a combined 46 points and three were by a touchdown or less. Last year’s seven losses were by an average of 27 points. The game that featured four lead changes was first led by Chilton on a five-yard touchdown pass to Tyler Meyer, who was well-covered in the back-right corner of the end zone. After the missed extra point, the Tigers led 6-0 midway through the second period. Denmark took its first lead after a short punt set them up at the Chilton 42 late in the half. Satori found Seth Alexander to convert a third-and 12, setting up, two plays later and with just 17 seconds left, his perfect 21-yard strike to Alexander near the right pylon. Hailey Aschenbrenner’s kick had Denmark carrying a 7-6 lead into intermission. But Chilton used the power running of its bevy of backs to march 62 yards on 12 plays and grab a 12-7 lead with 7:14 left in the third period. Denmark answered immediately, starting with Brandon Wavrunek’s 43-yard scamper on the first play of the series and ending with Gabe Wertel’s two-yard, fourth-down plunge for a 14-12 lead with 4:13 remaining in the third. Wavrunek, the NEC’s top rusher, piled up 138 yards on 24 carries, but the Vikings managed only 30 rushing yards other than that. Satori finished 5 of 12 for 92 yards. Wavrunek rushed for more than 1,450 yards this season. But the Chilton defense, which came in allowing only 15 points a game and had racked up a ton of tackles in the backfield, added six more tackles for loss and two sacks against Denmark. In the final seconds of the third period, Jack Satori was able to break up a pass that would have converted a third-and-29 at the Denmark 15, forcing a punt, thereby allowing Denmark to open the fourth period with the lead and the ball. Then, the halfback pass that went awry. The Vikings bid farewell to 12 seniors, including their offensive leaders in Wavrunek and Satori and their defensive leaders in Jerick Czarneski and Weidman. In the trenches they lose Jackson Koenig and Polomis. Where it goes from here is uncertain. But the Vikings will enter 2019 with greater expectations, greater excitement and a foundation of hope. “I tell you, I can just feel the support of the community,” Neuman said. “I can feel this program is ready for great things. There’s just so much positive energy. It’s been fun coaching these guys. They’re all so coachable and hard-working.